Ruth Ley received a BA in Integrative Biology from the University of California at Berkeley in 1992, a PhD from the University of Colorado, Boulder, and a NRC-NASA Fellowship for post-doctoral work with Dr. Norman Pace at CU Boulder. She moved to Washington University School of Medicine to work with Dr. Jeffrey Gordon on the human microbiome in 2004. She was named an Instructor in 2005 and a Research Assistant Professor at Washington University School of Medicine in 2007. In July 2008, Ley joined the Department of Microbiology at Cornell University as an Assistant Professor, and in 2013 became an Associate Professor with tenure in the Department of Molecular Biology and Genetics at Cornell. 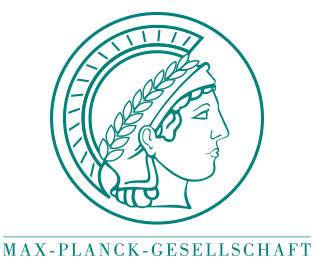 She has been Director of the Department of Microbiome Science at the Max Planck Institute for Developmental Biology in Tübingen since July 2016. Ley is a Thompson ISI Highly Cited Researcher, whose awards include a Fellowship in Science and Engineering from the David and Lucile Packard Foundation, a Beckman Young Investigator Award, the NIH Director’s New Innovator Award, the ISME Young Investigator Award, and the Ernst Jung Prize for Medicine. Director, Department of Microbiome Science, Max Planck Institute for Developmental Biology, Tübingen, Germany, July 2016-present. Associate Professor, Department of Molecular Biology and Genetics, Cornell University, 2014-2018 (on leave 2016-2018). Associate Professor, Department of Microbiology, Cornell University, 2013-2018 (on leave 2016-2018). Adjunct Professor, Department of Molecular Biology and Genetics, Cornell University, 2011. Assistant Professor, Department of Microbiology, Cornell University, 2008-2013. Research Assistant Professor, Washington University School of Medicine. 2007-2008. Instructor, Washington University School of Medicine. 2005- 2007. Post-Doctoral Research Scholar, Washington University School of Medicine. 2004-2005. Post-Doctoral Research Associate, University of Colorado, Boulder. 2001-2004. Elected Fellow, American Academy of Microbiology, 2019. Ernst Jung Foundation Prize for Medicine, 2018. Elected Member, European Academy of Microbiology, 2018. Thompson ISI Highly Cited Researcher, 2017-18. Honorary Professor, Faculty of Medicine, Tübingen University, 2016.
International Society for Microbial Ecology (ISME) Young Investigator’s Award, 2014. Cornell University College of Agriculture and Life Sciences Research and Extension Award for Outstanding Accomplishments in Early Achievement, 2011. Fellowship in Science and Engineering, David and Lucile Packard Foundation, 2010. NIH Director’s New Innovator Award, 2010. Pew Biomedical Scholar, 2009 (selected, declined due to Beckman award). Kavli Fellow, National Academy of Sciences, 2007. Research Associateship, National Research Council, 2001-2003. NSF Doctoral Dissertation Improvement Grant, 2001. American Society for Microbiology Student Travel Grant, 2001. Department of Ecology and Evolutionary Biology Research Grant, University of Colorado, Boulder. 1997 & 2000. NSF Biosphere-Atmosphere Research Training Fellowship, University of Colorado, Boulder. 1996-1998. Beverly Sills Research Grant Award, University of Colorado, Boulder. 1998. ASM Beneficial Microbes, Co-Chair, 2015; General Meeting Planning Committee, American Society for Microbiology, 2013; Scientific Advisory Board Member, Agbiome, Inc. 2013-present; Editorial Board Member, The ISME Journal, 2013-present; Organizing Committee Member, Cell Symposium “Microbiome and Host Health”, Lisbon, May 2013. Co-Chair, Keystone Symposium “The Microbiome”, 2012; Group Co-Chair, International Society for Prebiotics and Probiotics (ISAPP), 2009; Session chair, ISS Congress, Madison, WI, 2009;Co-Chair, German-American Frontiers of Science Symposium (National Academy of Sciences and the Alexander van Humboldt Foundation), Irvine, CA. 2009; Organizing committee member, German-American Frontiers of Science Symposium (National Academy of Sciences and the Alexander van Humboldt Foundation), Berlin, Germany. 2008.